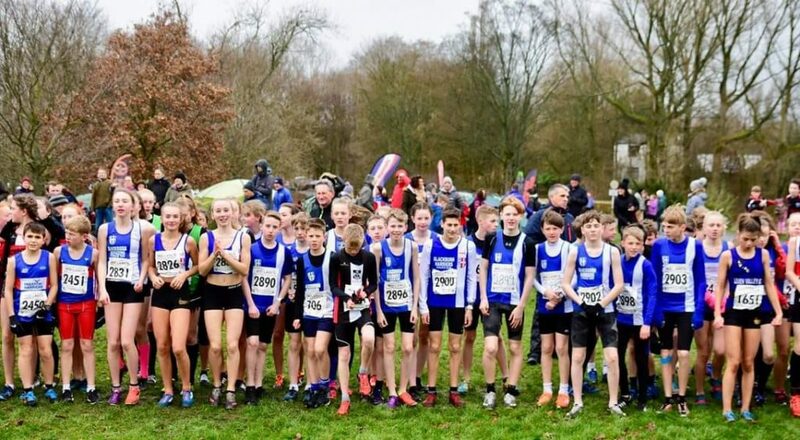 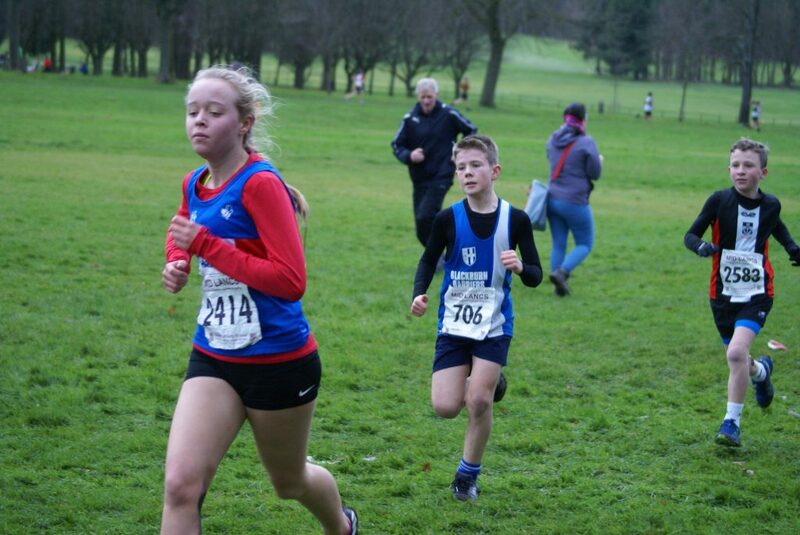 Another good day for the Harriers on cross country as both the Club’s Senior Men and Senior Women won the Team titles plus a win for the U13 Boys and V45 Women, and runner up team prizes for U11 Girls, U11 Boys, and U15 Girls alongside individual wins for Jess Judd in the Senior Women, Isaac Butler in the U13 Boys and V40 men for Chris Davies. 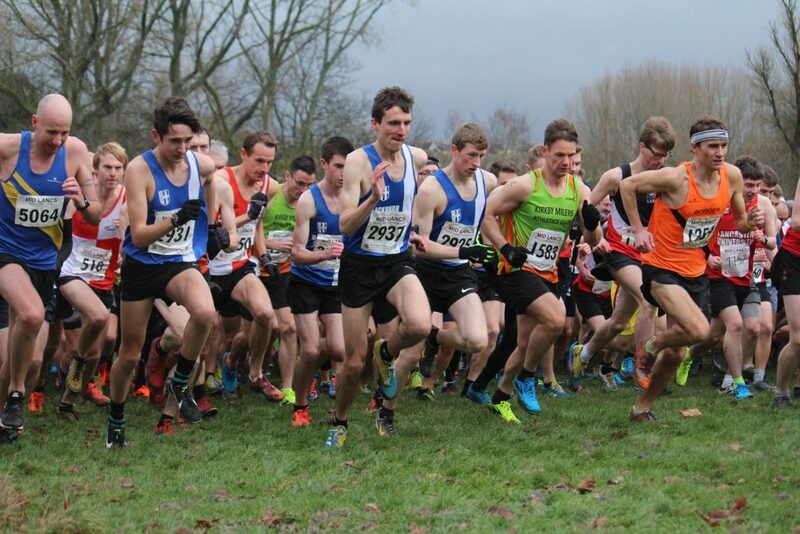 The Senior Men’s Race featured a field of three hundred and six finishers covering thirty two clubs and a great race at the front end. 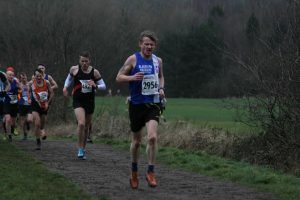 James Douglas (Border), Rob Warner and Tim Raynes opened up a gap as they battled one another for the win with Douglas (30.08) from Tim (30.14) and Rob in 3rd (30.17). 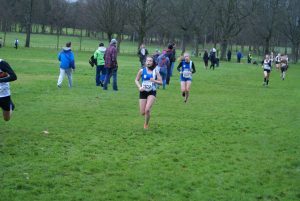 The Harriers took the team title with a total of 70 points to Kendal in 2nd place (145 points). 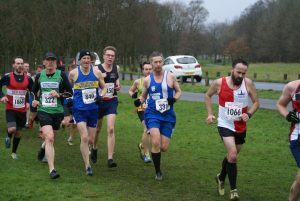 The Club’s six counters were all home in the first 22 positions with Tim Raynes (2nd), Rob Warner (3rd) followed by excellent runs from Karl Billington in 13th (32.22), Marc Hartley just two seconds further back in14th (32.34), Chris Davies 16th and 1st V40 in 32.49 and Tom Blaney (22nd) with a time of 33.16 making up the six counters. 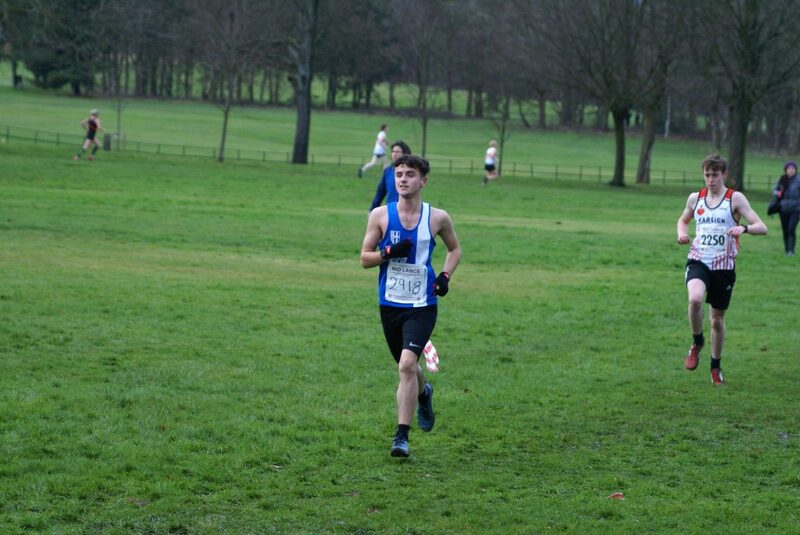 Next home with another good run was Calum Holmes in 25th position (33.32) followed by U20 Joe Gebbie who was 2nd in his age category on the day, clocking 34.01, Tom Marchant in 39th and 3rd U20 (34.38), V50 Mark Chippendale in 48th running a time of 35.12, Paul Brindle in a time of 35.39 (56th), Danny Maynard (134th) in 38.51, V50 Chris Balderson (144th) with a time of 39.14, Paul Jeffries clocking 39.45 in 157th place, Craig Greenough in 182nd (40.50) and Allan Hartley (261st) in a time of 45.36. 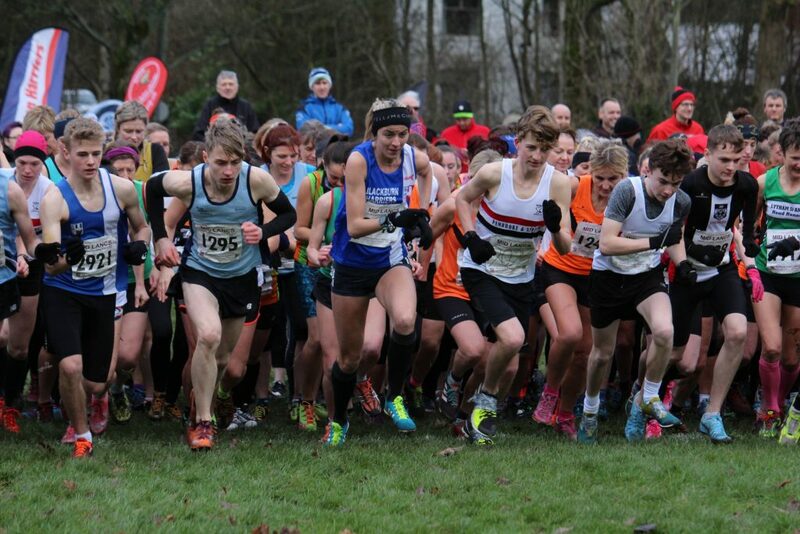 The Senior Women’s Race is combined with the U17 Men and again it turned out to be a very good race with some of the U17 Men trying to battle it out with Jess Judd who won the Senior Women’s Race in a time of 18.14. 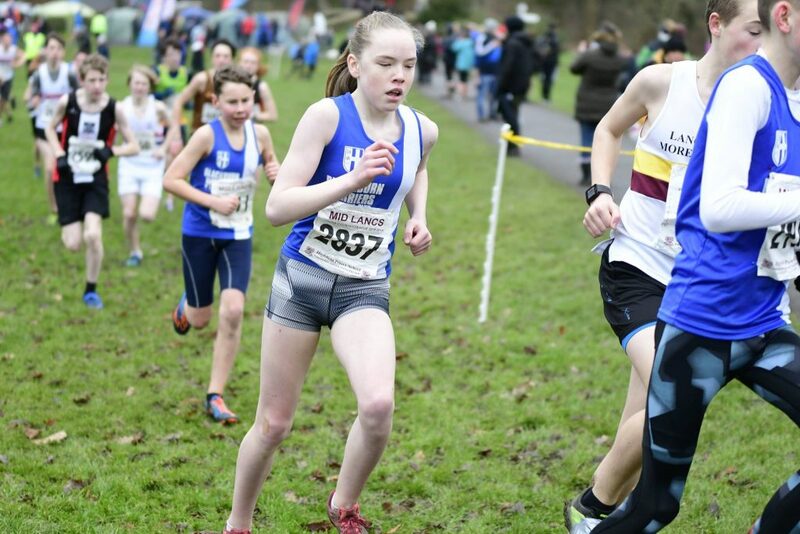 Very good runs from Katie Buckingham in 6th spot (21.08) and Joanne Nelson in 7th (21.21) made sure that the Harriers won the Team title with 14 points from Border in 2nd (33 points). 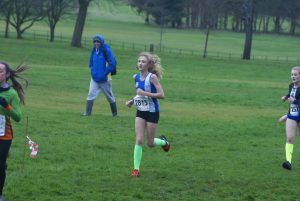 Carly Edwards was the next Harrier across the finishing line in 13th place in a time of 22.11 out of the 196 strong field. 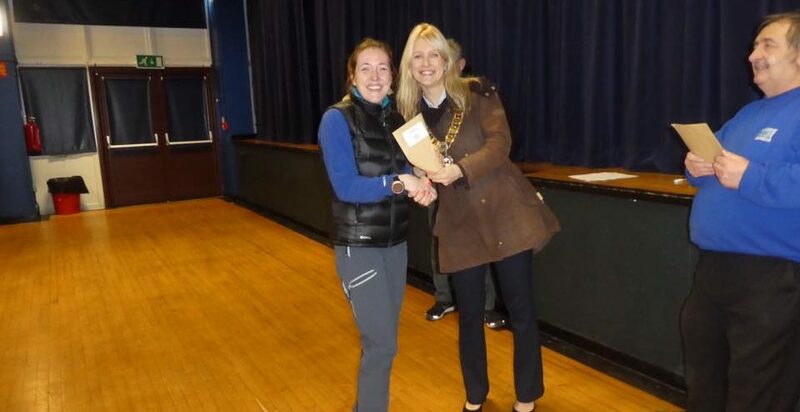 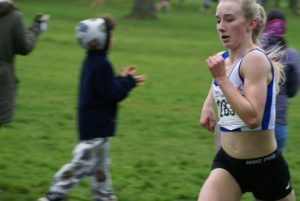 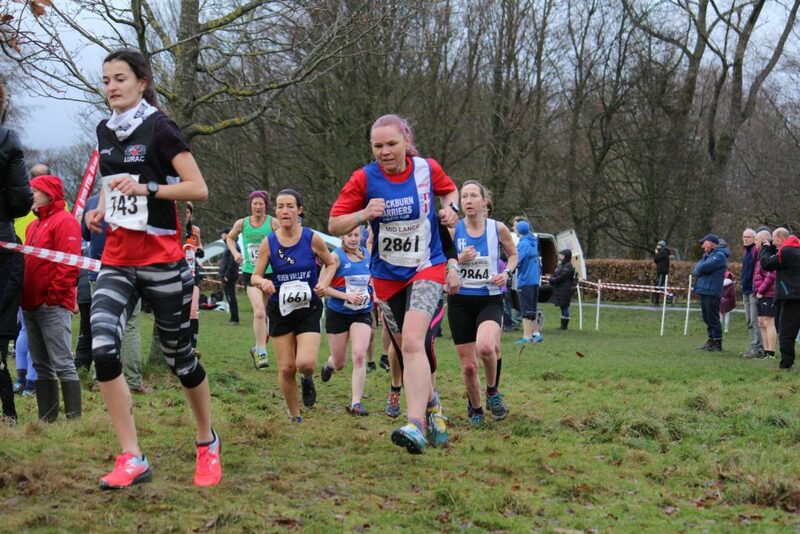 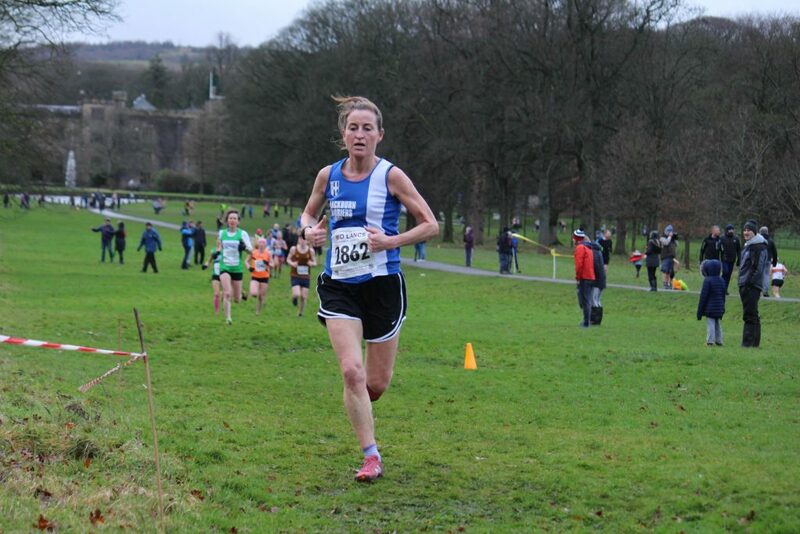 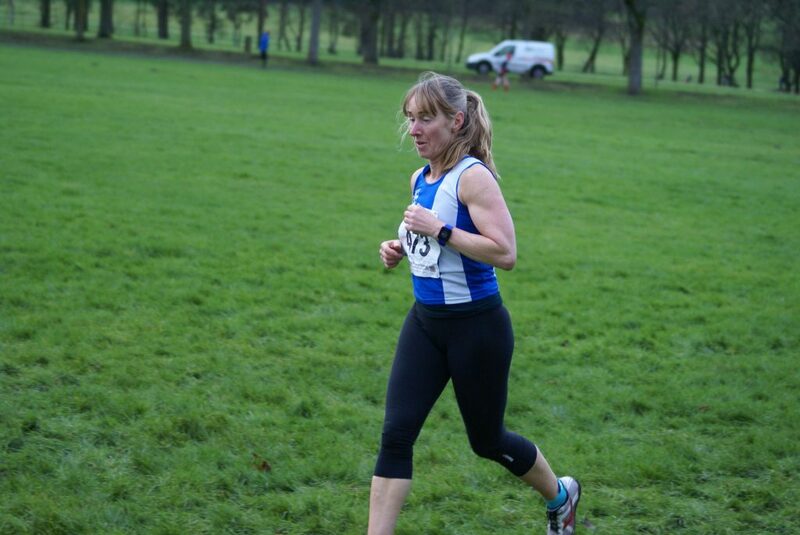 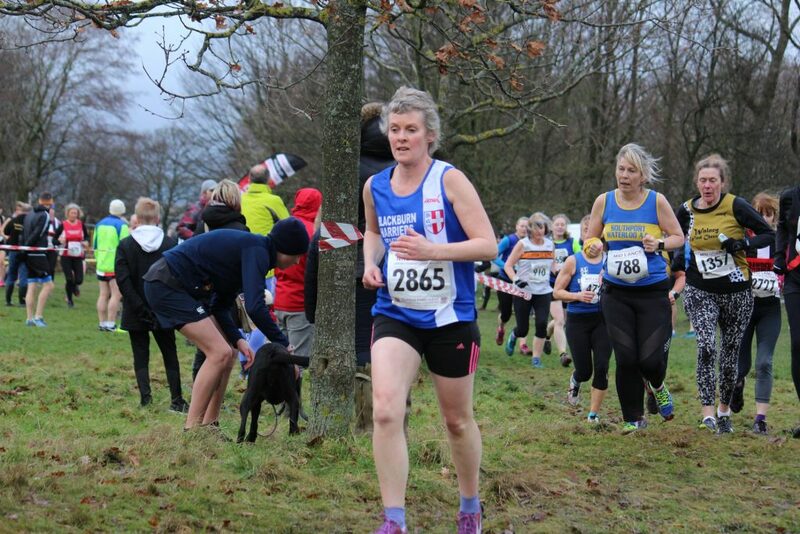 Behind Carly came Lindsay Davies in 41st place (23.46) and she was followed by Carol Reilly in her first cross country run in 3 years (53rd) clocking 24.38, Michelle Teare in 91st (26.47), Jan Buckingham (119th) in a time of 28.2, Helen Dawson-Smith (121st) running 28.27, and Nicola Hartley running a time of 29.11 in 132nd place. 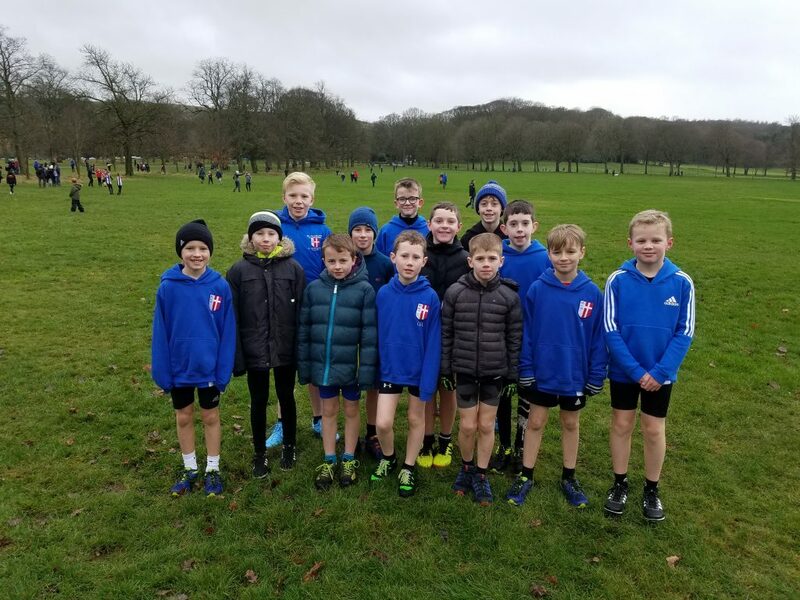 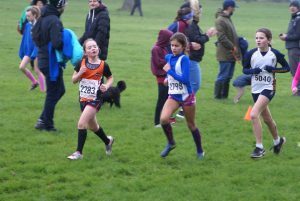 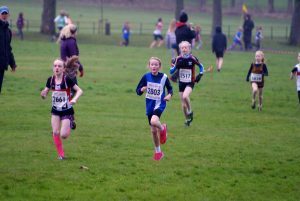 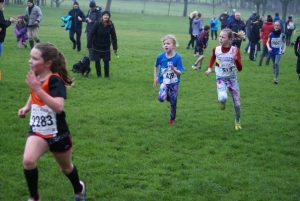 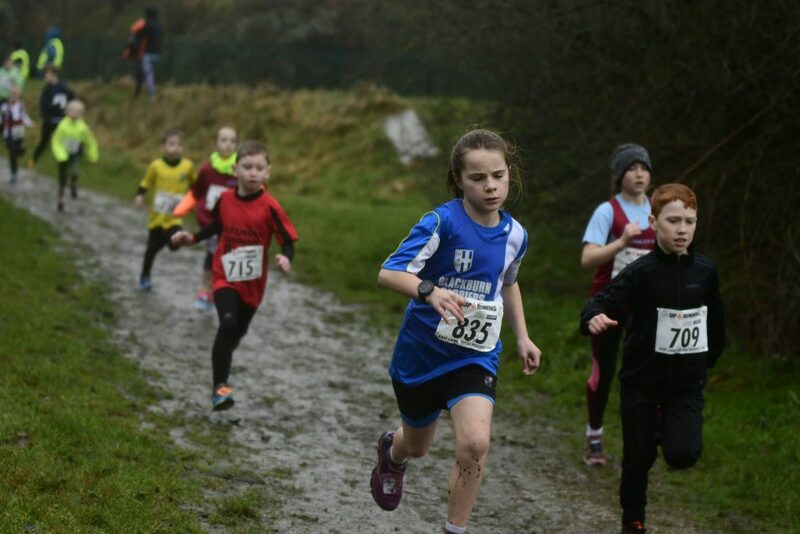 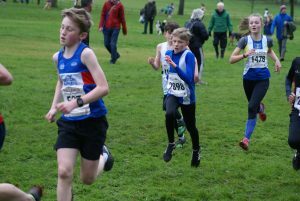 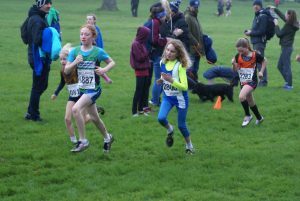 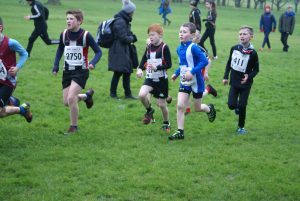 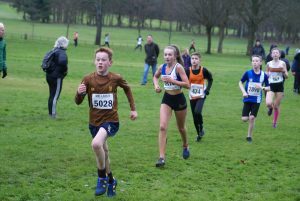 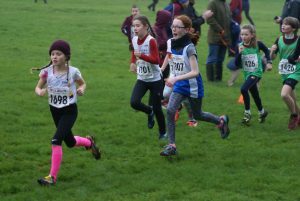 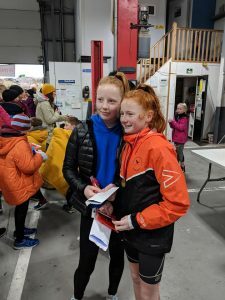 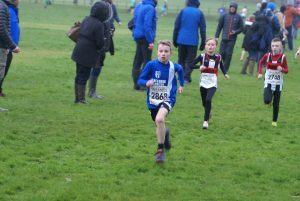 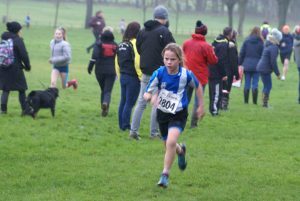 Ninety six U11 Girls ran their race and a 114 ran the U11 Boys race which was a great turnout by them and is indicative of what has been happening in cross country running over the last couple of years in this age category. 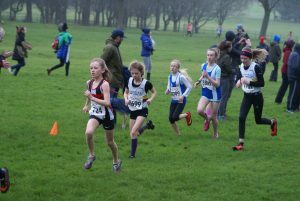 The Harriers U11 Girls (29 points) had to settle for 2nd in the Team Race behind Trawden who totalled 23 points. 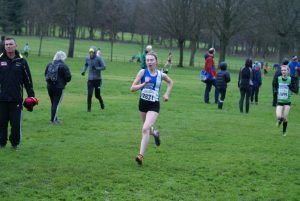 Imogen Robinson is really taking to the cross country and had another fine run in 8th place (7.30) with a fast finishing Eve Coulson in 10th (7.36) and Hannah Davies clocking 7.43 in 15th counting for the Team. 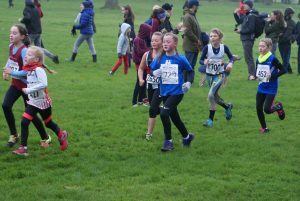 Then came Charlotte Sousa with her typical sprint finish (27th) in 8.00, Lulu Sharp having one of her best runs in 42nd place (8.24), Tippi Francis clocking 8.36) in 54th, 8yr old Charlotte Smith running in her first race for the Club (59th) in a time of 8.45, Isabllea Pacelli 64th with a time of 8.50 and Maisie Taylor in 72nd position (9.09). 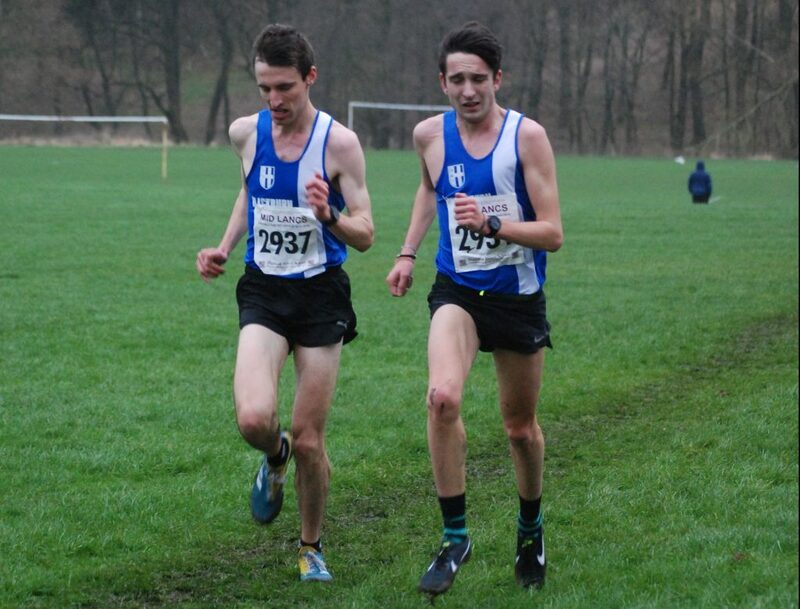 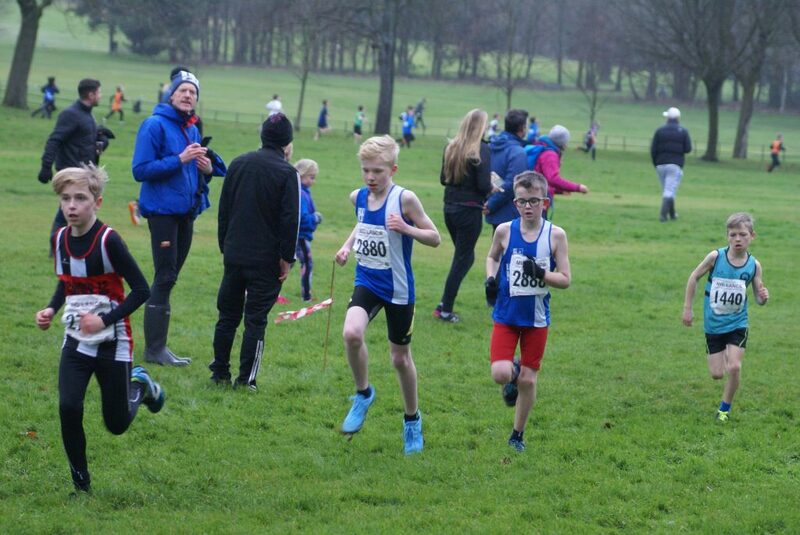 Silver Medalist in the Lancs Championships last weekend – Matthew Smith – came home in 4th in a time of 6.41 with Oliver Gill in 6th (6.48) and William Grundy 13th in 7.05 who were the counters on the day for the Team. 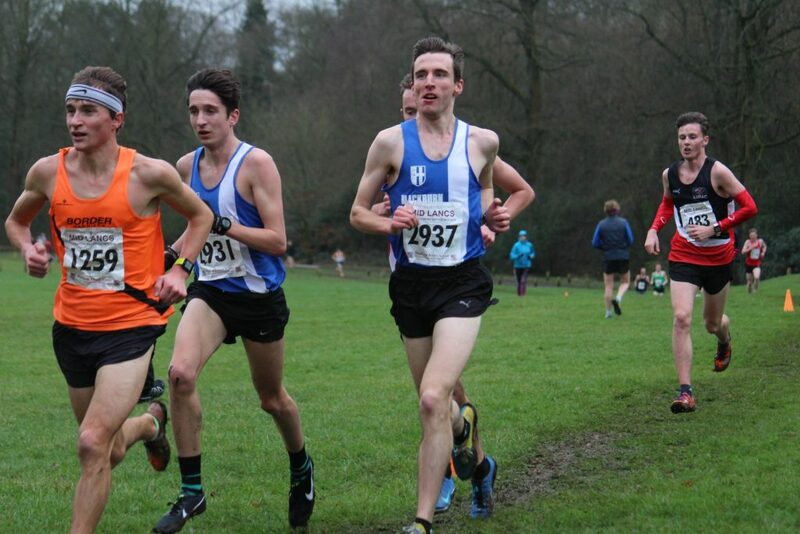 One second separated George Ramsden in 28th position (7.21) and Theo Robinson in 29th running 7.22. 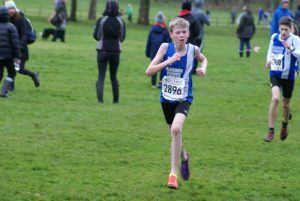 Charlie Haworth was only a few seconds back in 36th in a time of 7.30 with Liam Bennison in 39th clocking 7.33 and followed in by Loucas Lancashire (55th) in 7.46, Felix Thompson (60th) running 7.55, Harrison Fenton taking 64th spot in 8.00 with again, just one second separating Alexander Brien in 73rd (8.12) and George Holman 74th in 8.13, Evan Potter (93rd) in 8.46 and Sam Craven (107th) in a time of 9.32. 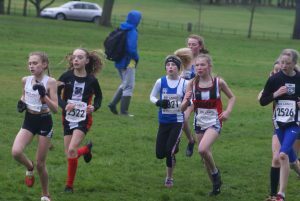 The U13 Girls race saw the Harriers finish in 5th place with first counter Keira Haxton placing 19th out of 57 runners in a time of 10.03. 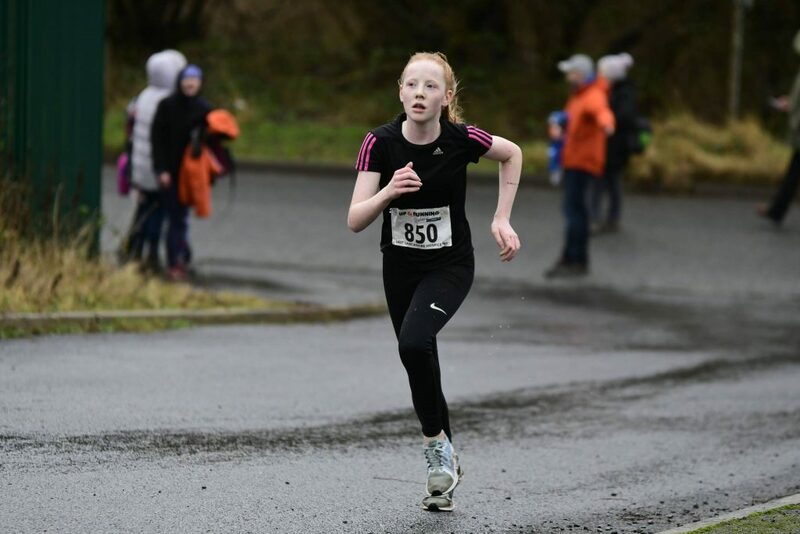 Keira Booth was the next one home for the Club clocking 10.38 in 29th and followed in by Eva Knowles in 35th (10.48), Amelia Burton running a time of 10.51 in 37th place, Caroline Woodworth (43rd) in 11.08 and Isabelle Hartley with a time of 11.41 in 50th. 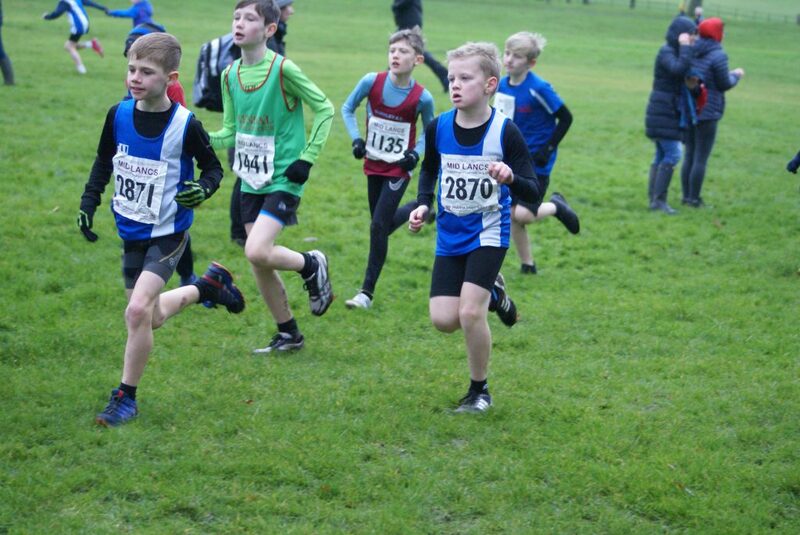 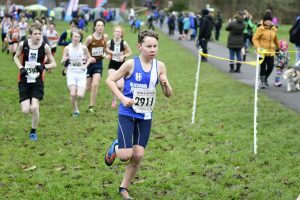 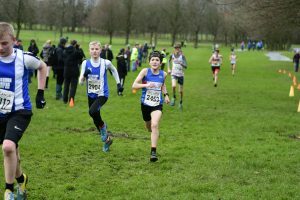 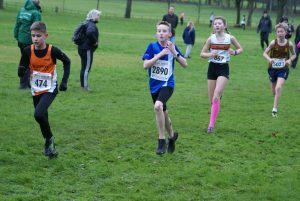 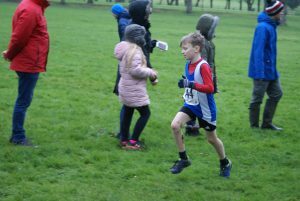 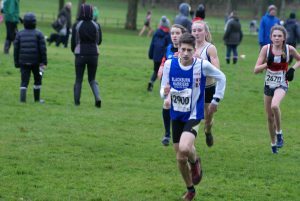 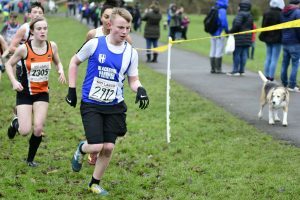 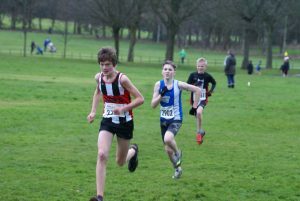 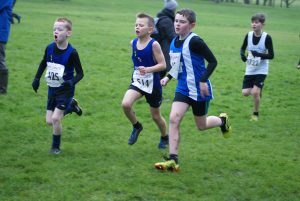 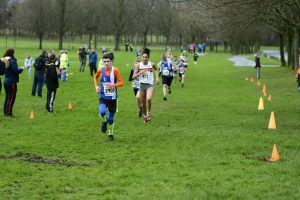 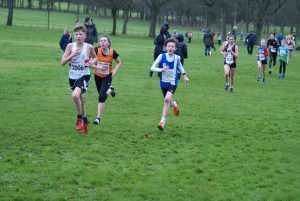 Isaac Butler, who had won the Lancashire Championships the week before kept that form going to win the U13 Boys race, clocking 9.50, and lead them to team victory over Preston Harriers by three points. 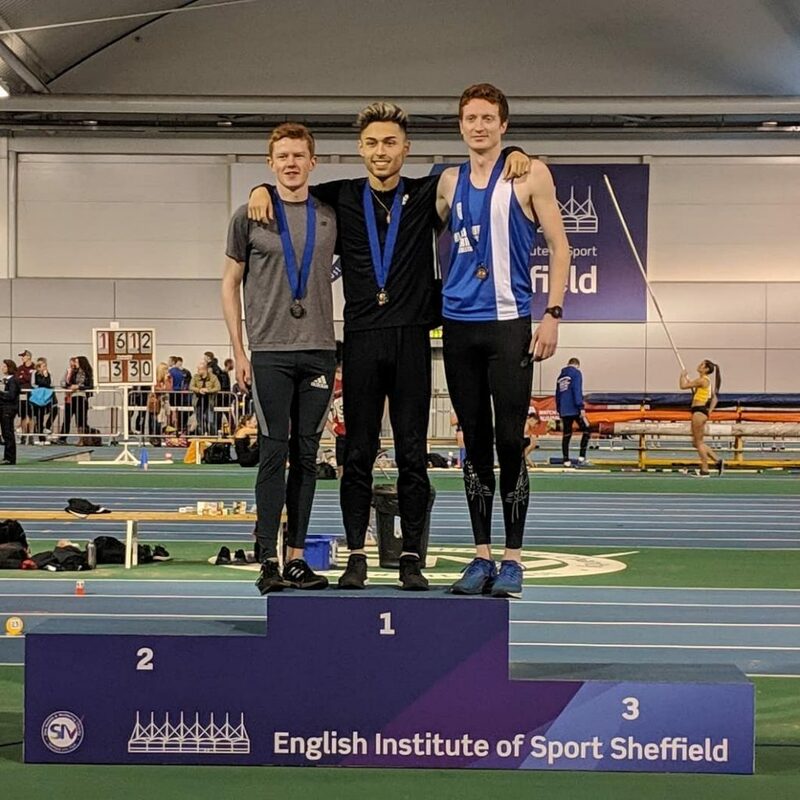 Dexta Thompson who qualified for the Inter-Counties along with Isaac took 3rd spot in 10.13 with Theo Watson in 14th (10.52) being the three counters. 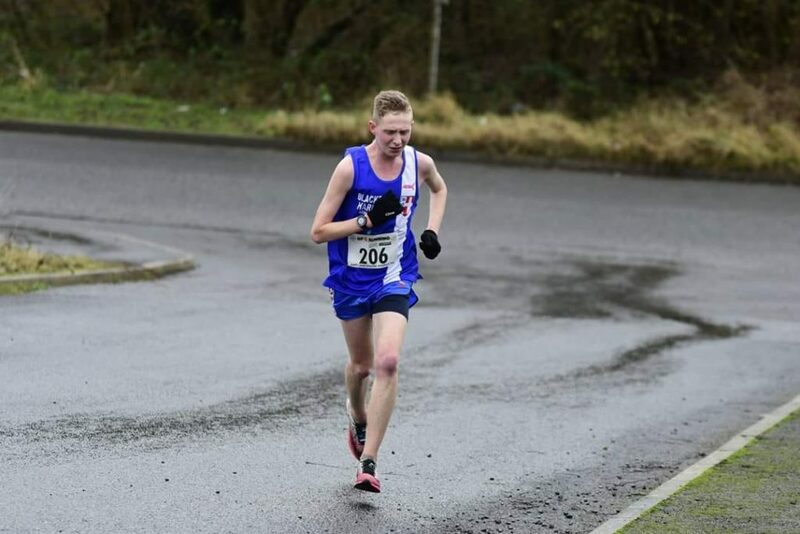 More of those one second battles saw Daniel Smith place 18th in 11.00 with Saul Sharp 19th in a time of 11.01 and they were followed in by Codie Dewhurst (27th) in a time of 11.18, Ben Livesey running 11.37 (37th), Jonathan Brindle (39th) in a time of 11.39 and Harry Sambrook in 49th position (12.05). 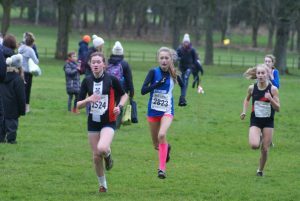 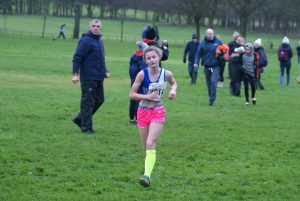 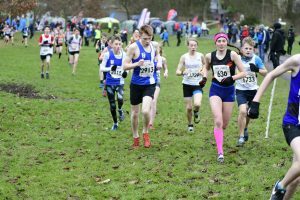 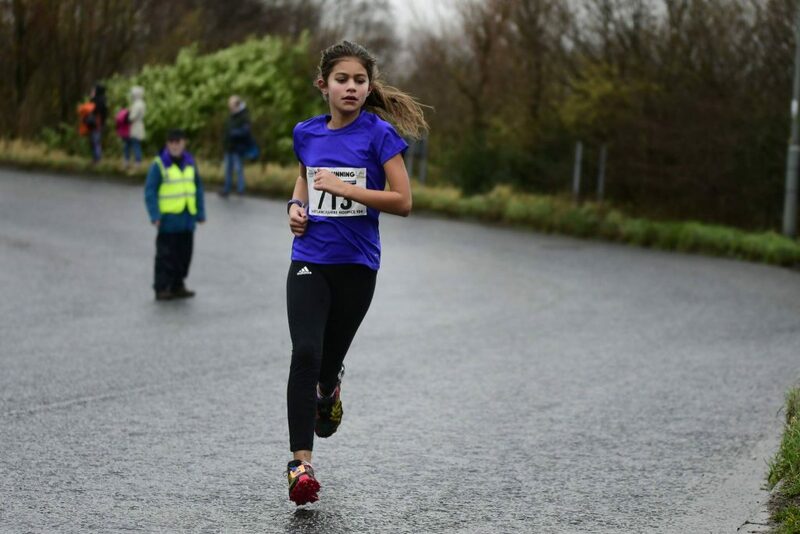 Just three points separated rthe Harriers in 2nd place overall from Chorley AC & Tri in the U15 Girls race which saw Eleesha Charnley come home as the first finisher for the Club in 5th place clocking 11.03 with Hollie Cubbon in 8th (11.09) and Leah Hoole (14th) in a time of 11.35 being the the teams three counters. 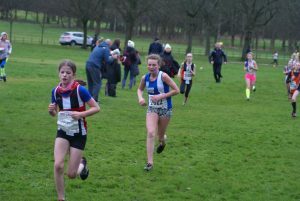 Rebecca Ramsden placed 36th in 12.38, Molly Nicholls (37th) in 12.41 and Ella Hardman (43rd) in a time of 13.27. 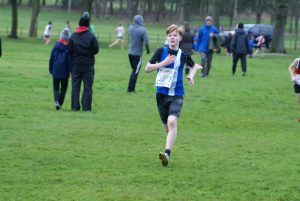 David Holman was the first Blackburn Harriers across the line in the U15 Boys race (17th) in a time of 14.08 with Kyle Taylor-Pomfret in 25th spot (14.30), George Whittaker in a time of 14.56 (29th), Sebastian Burton (31st) in 15.16, Thomas Brooks in 32nd (15.21), Rory Teare 34th in 15.22 and Danny Woodcock (35th) running a time of 15.24. 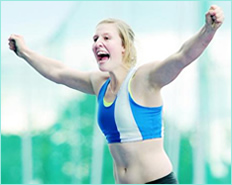 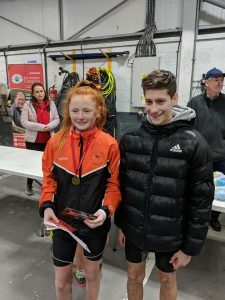 The weekends Championships saw Matt Ramsden and Dominic Walton take Bronze Medals in their respective events as Myah Booth and Annabel Ralph also contested in the Championships. 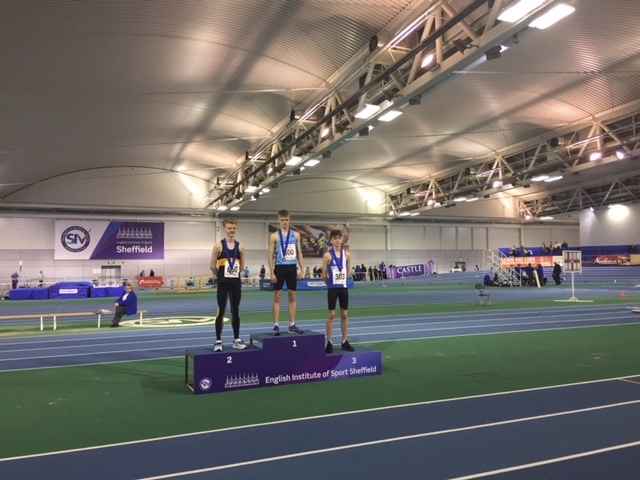 U17 Matt Ramsden – whose personal best was outdoors at the Lancashire Championships in 2018 (4.14.1) – had a storming run in his first evet indoor race to place 3rd in a new PB time of 4.09.54 behind two athletes who finished 2nd and 4th in last years English Schools Championships. 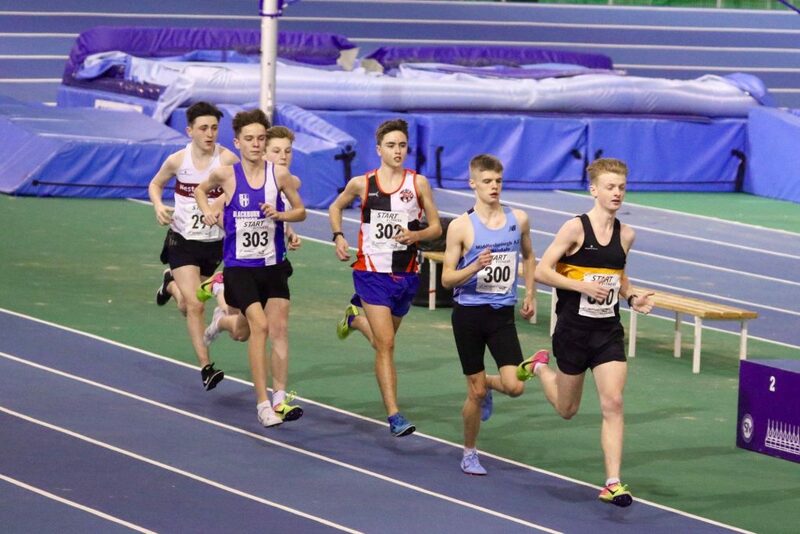 Dominic Walton ran the Senior Men’s 800m and set the fastest time in the Heats as he clocked 1.53.29 to win Heat 3. 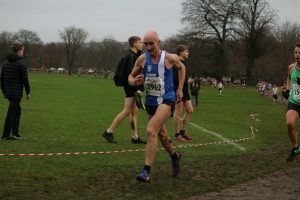 In the Final, Dominic placed 3rd clocking 1.55.69 and commented afterwards that the Final was “Possibly one of the worst tactical races I have ever ran in my life. 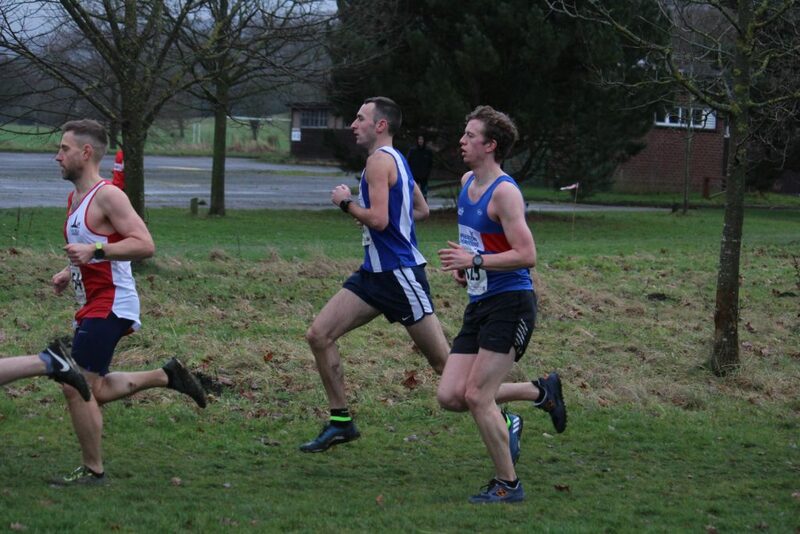 I was expecting a slow start which did not happen so found myself at the back for the majority of the race which had me stuck behind an awkward group covering two lanes whilst the two at the front pulled away. 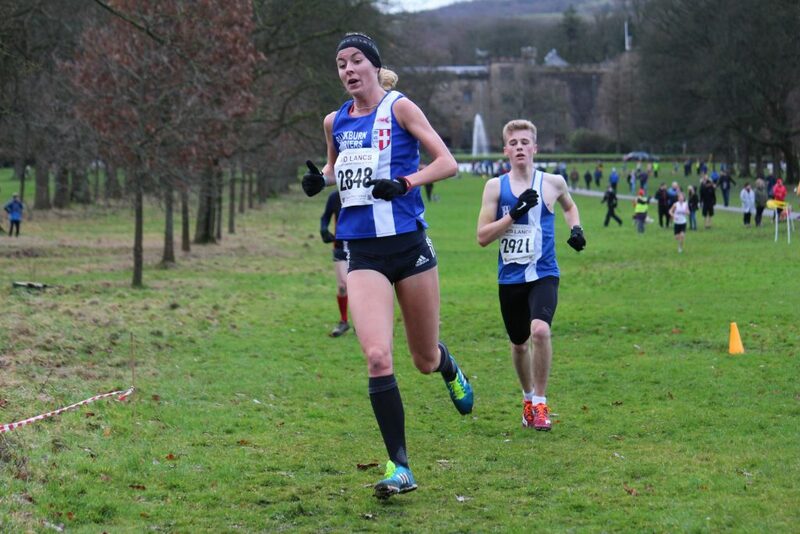 Luckily I managed to claw myself back to third in the last 50m of the race so I’m thrilled to win a medal however I would have liked to have another go to see what would have happened if I positioned myself better from the start”. 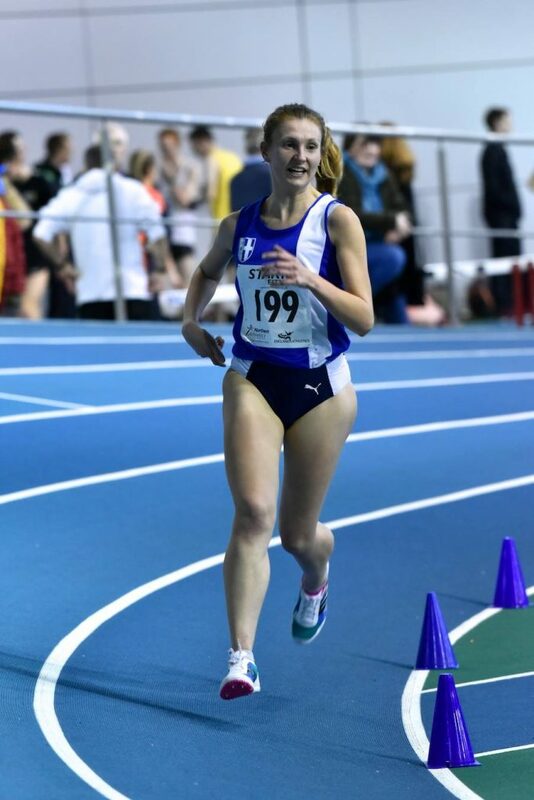 Myah Booth clocked a new PB of 9.23 finishing 3rd in the U17 Women’s 60m Hurdles whilst Annabel Ralph, like Matt, competing for the first time even at an Indoor race clocked 10.44.05 in the Senior Women’s 3000m in 4th place. 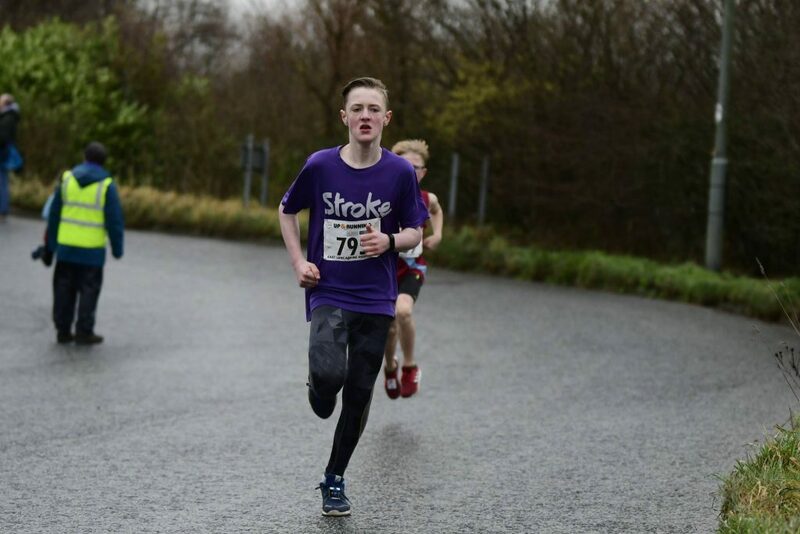 Another big field of over 400 runners took on the East lancs Hospice 10k in conditions which weren’t the best but it didn’t stop Calum Holmes from finishing 3rd in a time of 36.33. 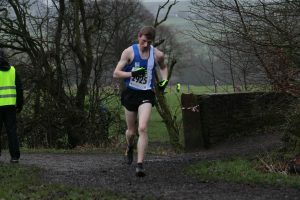 Another Blackburn Harrier having his first race of the year was Sean Procter who came home in a time of 40.43 and 20th position. 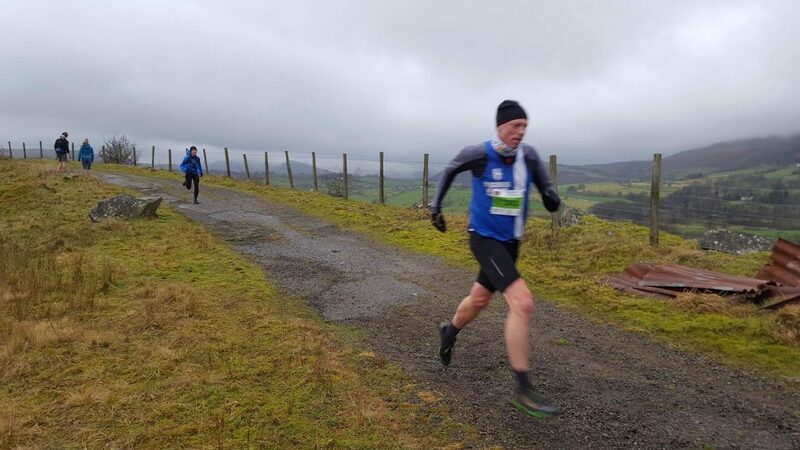 Next home for the Club came Paulo Sousa (50th) clocking 44.29 followed by V50 Ian Clarkson (80th) in 47.29 following his Fell Race the day before at Clough Head. 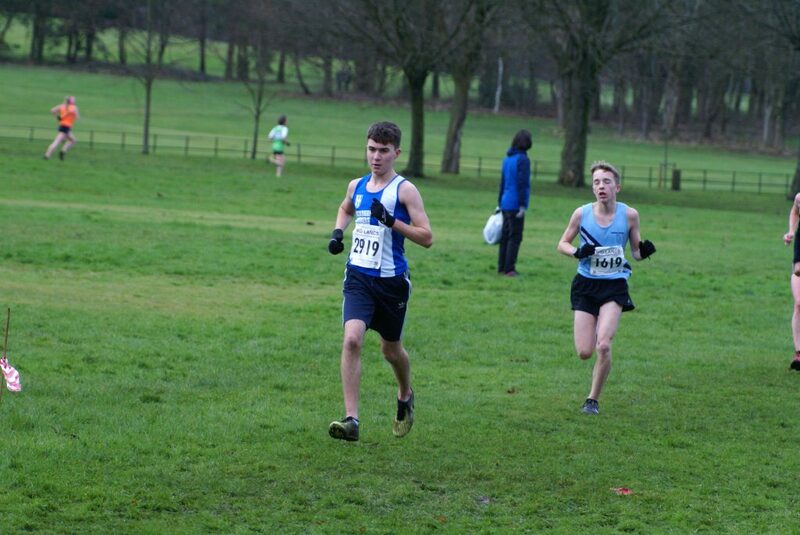 Good to see Martin Kerry out again racing as he placed 93rd in a time of 48.26 with Mark Wilkin just three places further back in 96th with a time of 48.20, V45 Rebecca Woodworth in her first race this year (183rd) running a time of 55.25 and David Morris (V55) running 60.03 in 255th place. 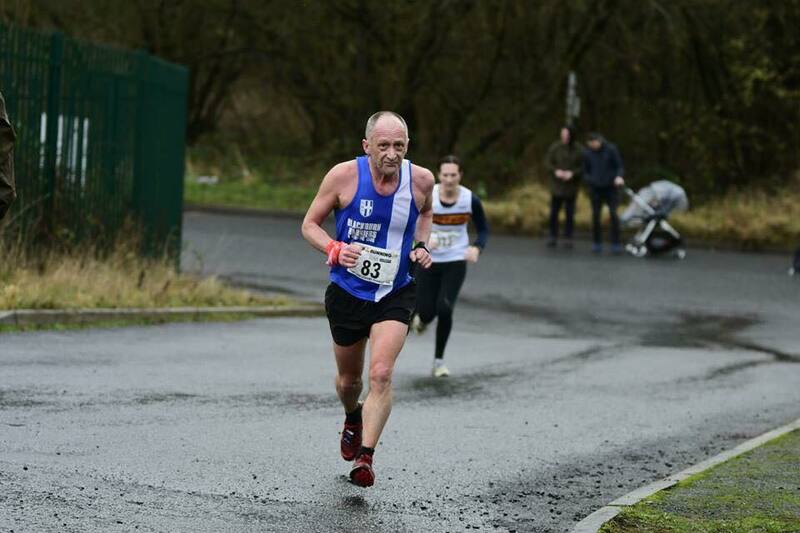 Ian Clarkson summed up the conditions on the day as he commented to the Club that “with my legs feeling rather tired from the previous days fell race, I lined up on another wet and windy start line with the idea of just tapping away, nice and steady, that didn’t happen!! 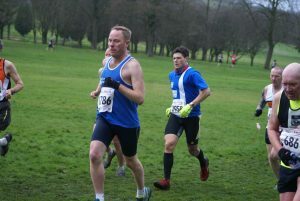 I was pleased to get 47:29. 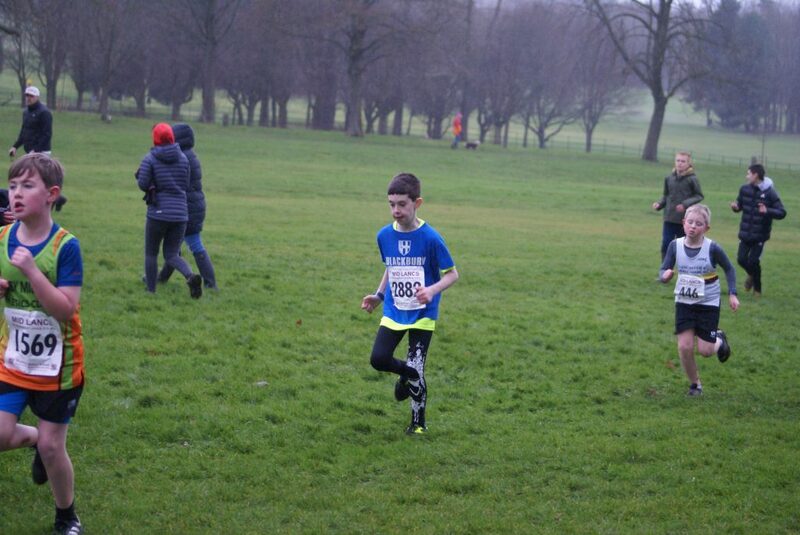 A few Blackburn Harriers has a go and well done to all who competed especially young Callum, who came 3rd. 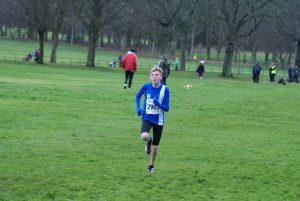 It wasn’t easy out there”. 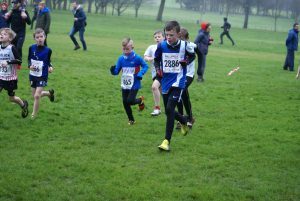 Some of the youngsters had an opportunity to run a Fun Run on the same day which saw a field of sixty six youngsters aged 7yrs to U15’s tackle the wind and rain. 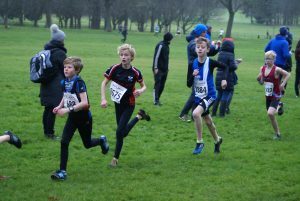 Saul Sharp came 2nd overall and 1st U13 Boy in a time of 9.21 followed by Stephen Alberts – 4th overall in a time of 10.08 and 3rd U13 Boy. 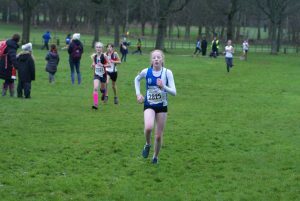 Caroline Woodworth finished 6th overall and 1st U13 Girl in 10.38 followed by Charlotte Sousa in 14th (11.21) and Lulu Sharp (16th) 11.46). 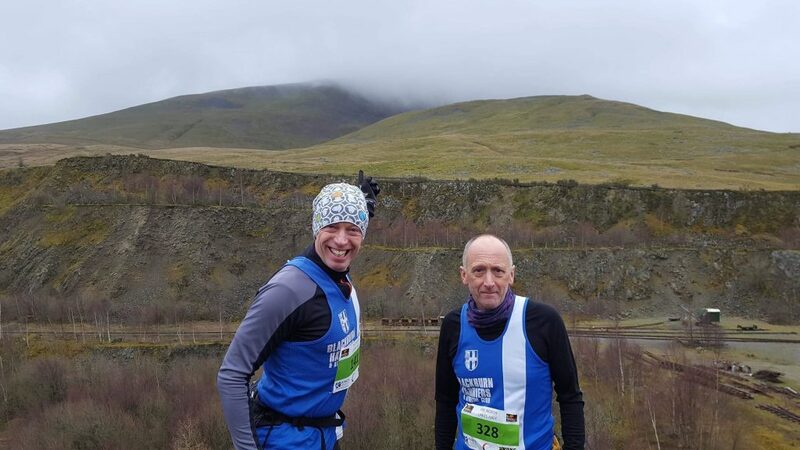 John Orrell and Ian Clarkson were out on the Fells again and this time at the Clough Head Fell race which covers 4.5 miles and features around 1800ft of ascent. 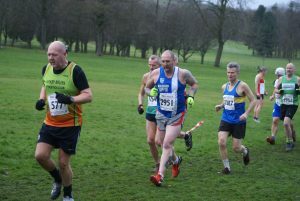 Ian Clarkson just pipped John in as he finished 113th in 50.48 with John in 117th clocking 51.36. 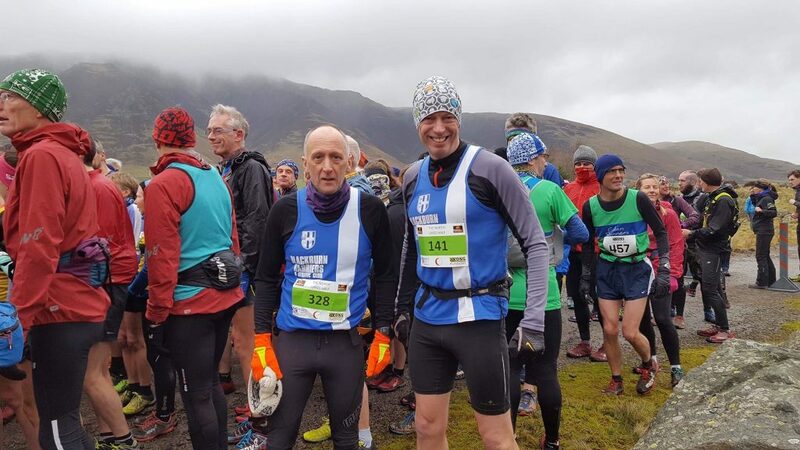 Ian was pleased with the day and he commented “John Orrell and myself lined up for race 2 of the Winter Kong Fell Series, Coledale Head Fell Race. 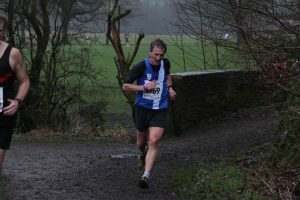 The weather conditions were extreme with very high winds and swirling mist making this one a bit of an epic. 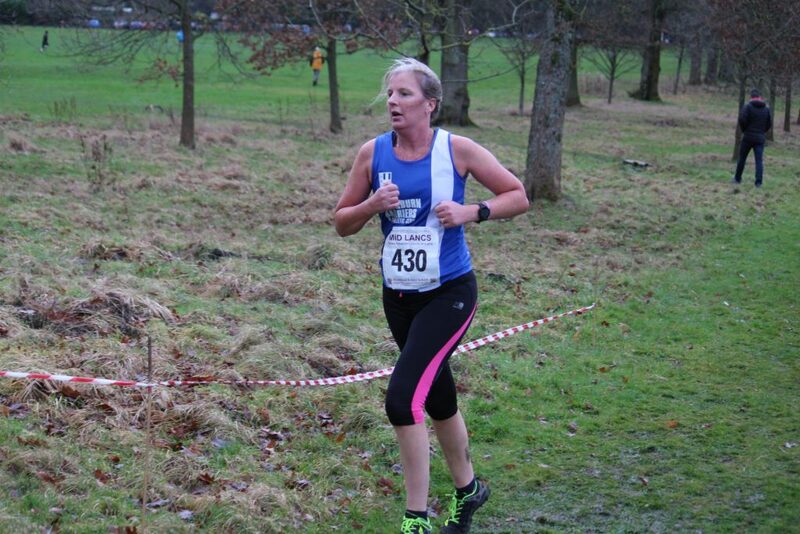 It went straight up and didn’t relent over the top down. 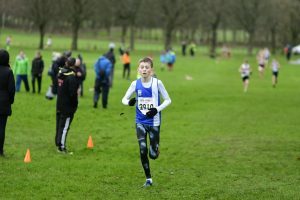 Time came in at 50.48. 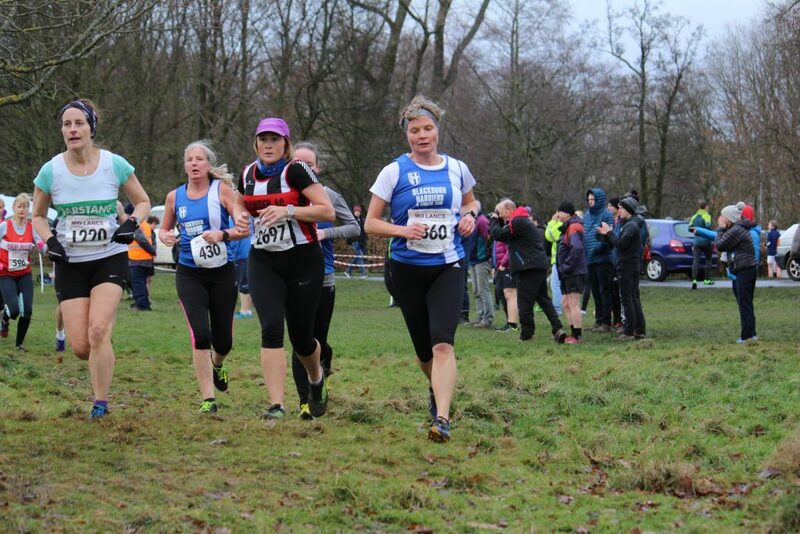 Over 1800ft of ascent and approximately 3.5 miles. 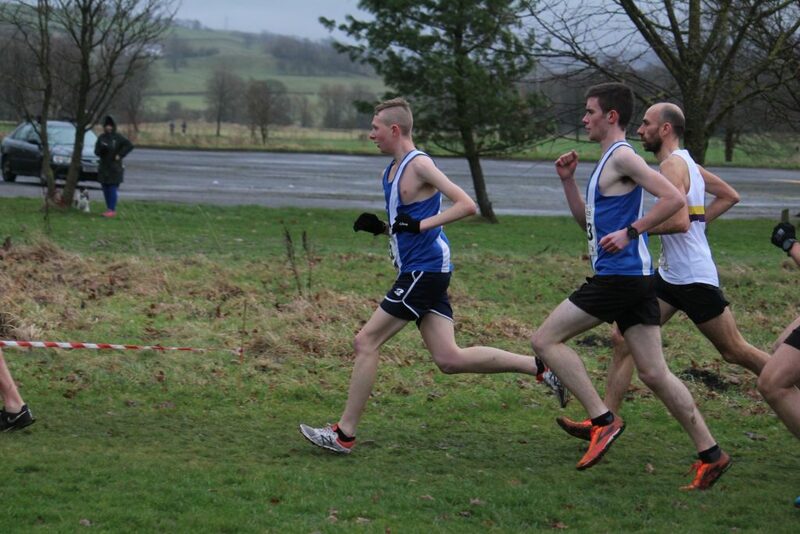 A very short but extremely sharp affair”. 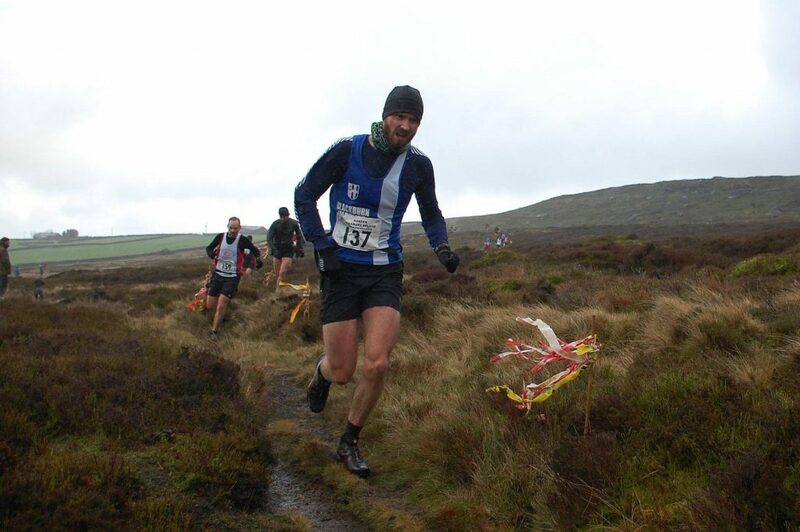 Also out on the Fells last weekend was John Horrocks. 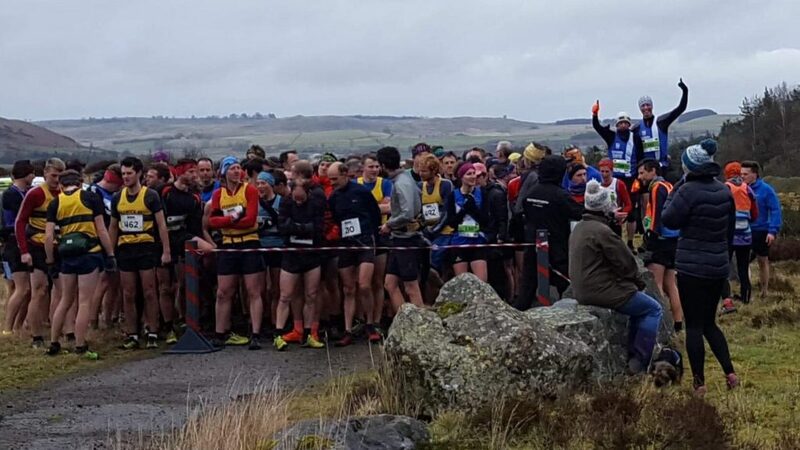 John ran the Stanbury Splash finishing in 27th place, the day after he placed 3rd in the Ashurst Beacon race – Saturday January 12th – which made it two fell races in two days and a pretty impressive weekend’s efforts. 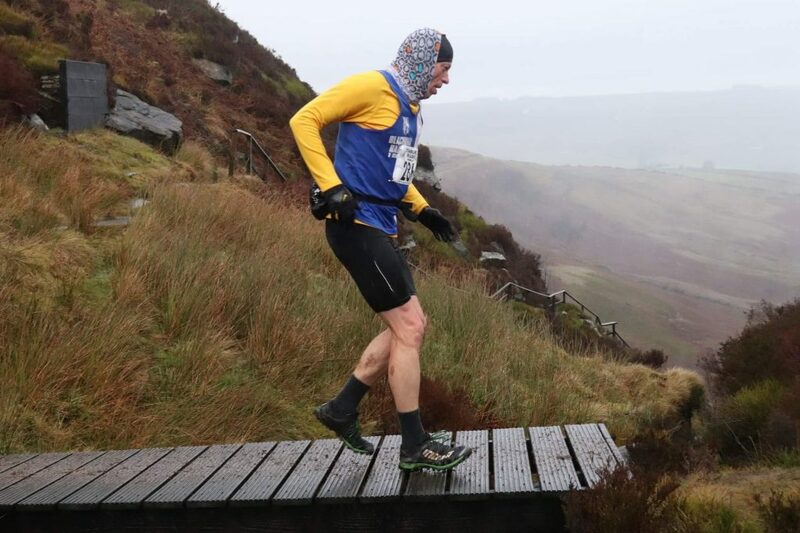 Following his race at Clough head on the Saturday, also doubling up this weekend was John Orrell – “Been at it again, just couldn’t resist and John Horrocks joined me this time” at the Stanbury Splash. 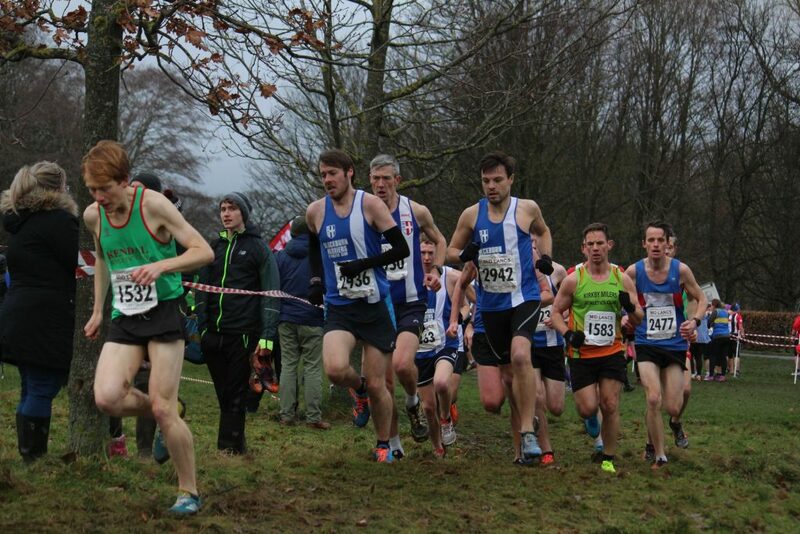 “John Horrocks did great, top 30. 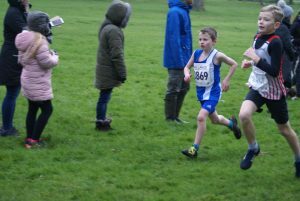 Like me he raced yesterday too. 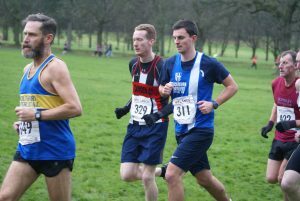 For me a weekend double header was never going to produce a PB today. 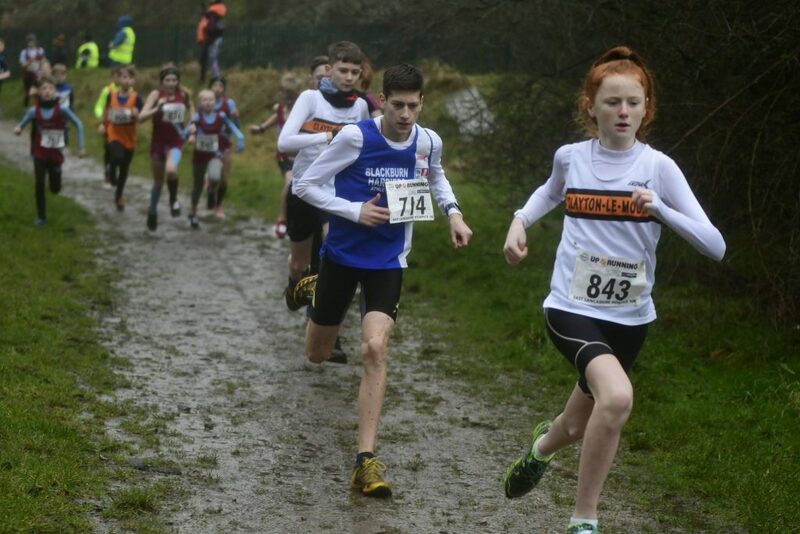 Conditions were rough. 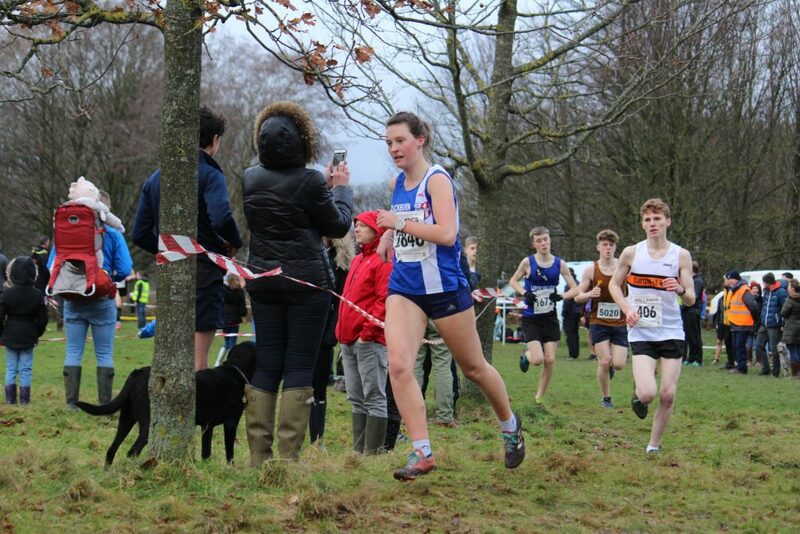 The wind was horrendous. 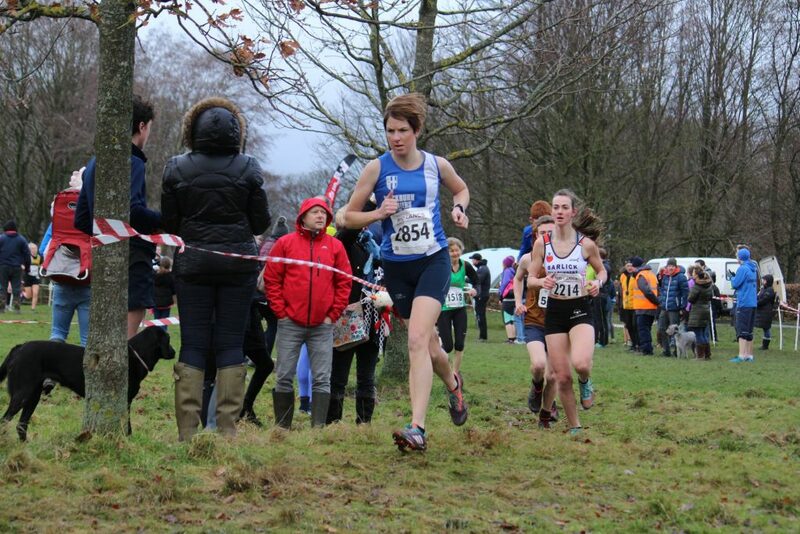 Made for a quick return though and in places it blew us off our feet. 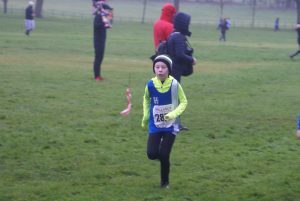 Just 4 minutes out so not too bad in the end”.